245 1 0 %a McGraw-Hill's dictionary of American slang and colloquial expressions / %c Richard A. Spears. 260 # %a New York, NY : %b McGraw-Hill, %c 2006. 300 %a XXIX, , 546 s. ; %c 24 cm. 500 %a Rev. ed. of: NTC's dictionary of American slang and colloquial expressions. 3rd ed. 2000. 500 %a Na okł. 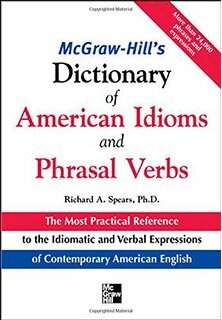 : The most up-to-date reference for the nonstandard usage, popular jargon, and vulgarisms of contemporary American English. 504 %a Bibliogr. s. XXIII. Indeksy.